20t titanium cog and Surly spacer kit. I was stoked to find out we were able to magic gear the setup after trying unsuccessfully to run a Paul Melvin which would not fit my setup. The bike dropped a good 2lbs and is weighing in at a svelte 21lbs. After 4 rides I think I am really going enjoy slugging it out on this bike and perhaps as a result become a much stronger rider on the dirt as well as the road. I realize I may be a little late to the party, but very happy to be here!! Sweet ride. 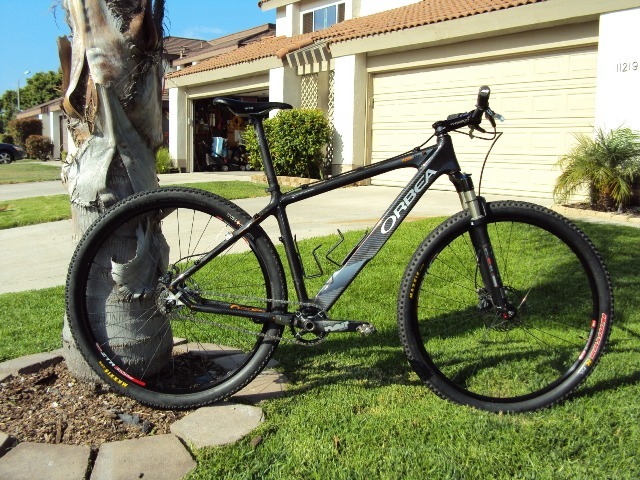 My cousin has a cracked alma 29er frame that he just sent to calfee for repair. In the mean time he bought a salsa mamasita frame to ride, and plans to build the alma up as an SS when he gets it back. Although he's going rigid, and has lighter cranks for it so his will be about 18 pounds. Can't wait to try it out after he builds it up, it might make me go out and buy one for myself...heck the frame is only $1400...thats a steal for a full carbon 29er frame!! "dark side"? I tend to think of it as seeing the light. Tom-a-to, Tom-ah-to. Very nice. I run my Alma 29er SS most the time as well (except currently have my gears on for some hundies I'm doing). 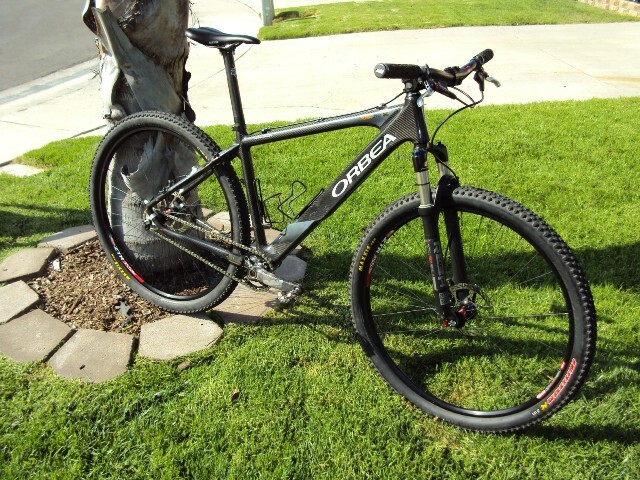 Orbea, at least for my size etc, got it right with this bike. It handles amazingly and makes a sweet SS. I have also had good luck with the Rennen Rollenlager, I didn't like the Melvin...pain. Happy new year..Stuff $: Eno 29wheel (non disc), Yakima, 2 steelheads, with towers for Volvo luggage rails. Beautiful! If i had that bike, i would stick a Niner carbon fork on it. If i had that bike, i would stick a Niner carbon fork on it. Beautiful bike! I'm thinking of building one up as well am wondering if you could explain to me how you did it. It looks like you just left the derailleur hanger on and used 'magic gears'? What are those exactly? I'm new to SS, so any help would be greatly appreciated! and used 'magic gears'? What are those exactly? 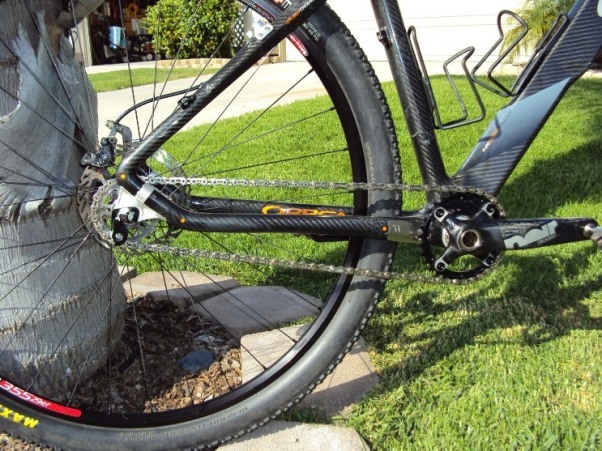 Magic gears are a ratio that allows the chain to run in propertension, without the use of any add-on chain tensioner. Magic gears differ from one frame to another. Evidently 32/20 works as a magic gear on the Orbea. So ****ing hot. I absolutely love it.